Koldinghave (“Kolding Garden”) takes its context seriously. 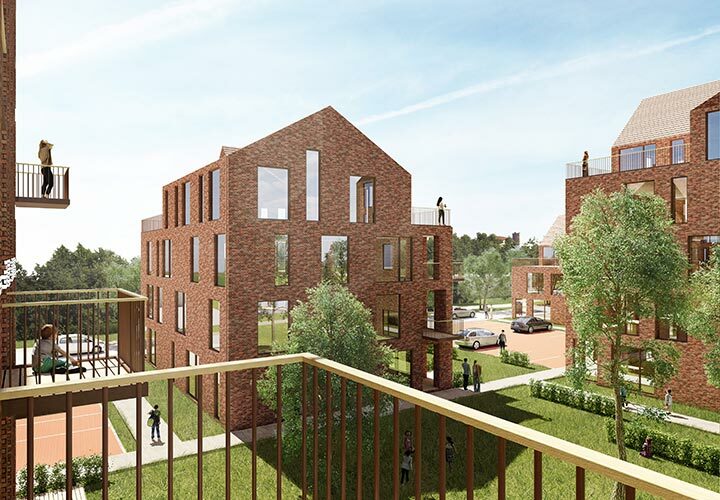 This project both meets the city of Kolding’s high level of ambition in design and ensures that the surrounding park continues in between and just outside the six houses while making sure that all 61 flats have optimal daylight conditions. 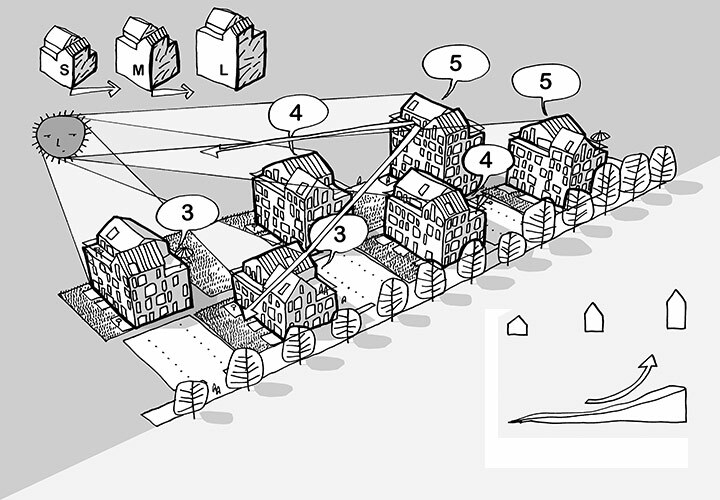 The six residential houses are defined by what we describe as “park-character”. In this way, the houses appear as calm, well-defined volumes set out to give room for the nature between the houses with a minimal footprint and designed in a brick material that underlines the interaction with the surrounding park. 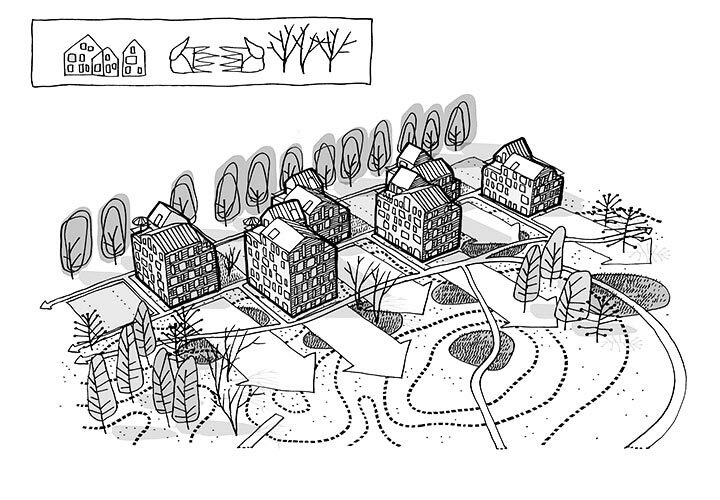 The six houses form an overall architectural composition with a geometry adapted to the surroundings by lowering the housing structure towards the city and increasing the scale towards the park. In this way, Koldinghave adjusts to the city scale and rises towards the green background. 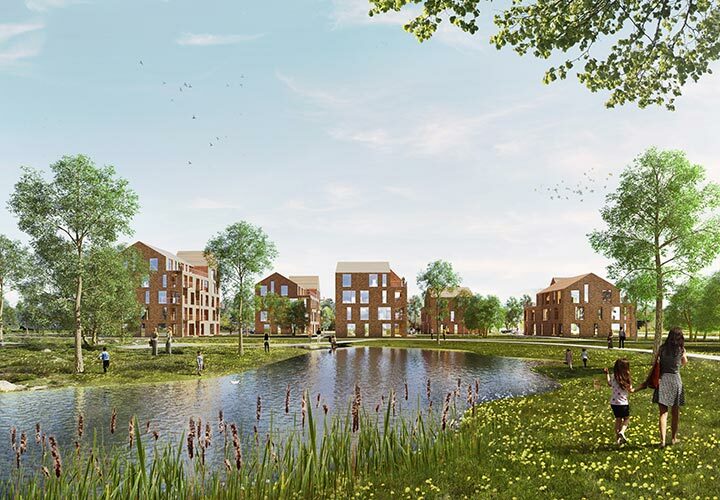 From the flats, the residents will have spectacular views of Kolding city center, Kolding Inlet, and to the castle of Koldinghus. This project is designed for several generations and types of residents – for the individual person, the family with young children or the elderly couple. To ensure homeliness and a sense of neighbourhood, Koldinghave is designed as six super-villas. 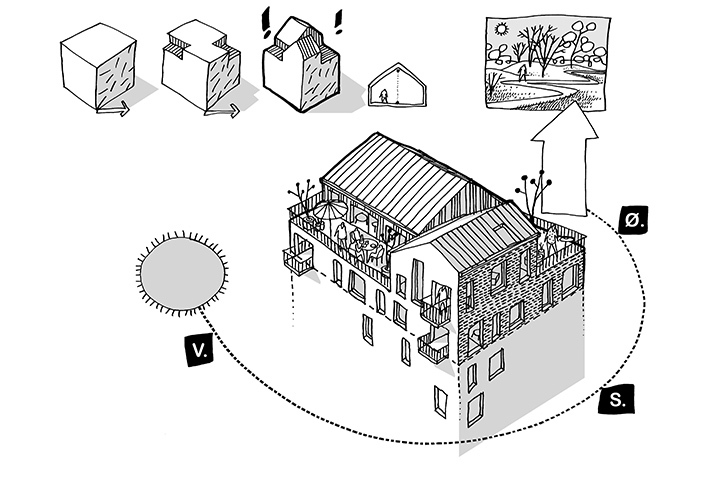 Six different houses that vary in height and where a well-known pitched roof motive composes a roof landscape that alternately changes direction, thus ensuring variation to the building. One can say that we mix two typologies: the single-family house and the block of flats creating a new interpretation suitable for the modern human being, who enjoys living in flats with optimal daylight conditions and views over the park and an urban context. 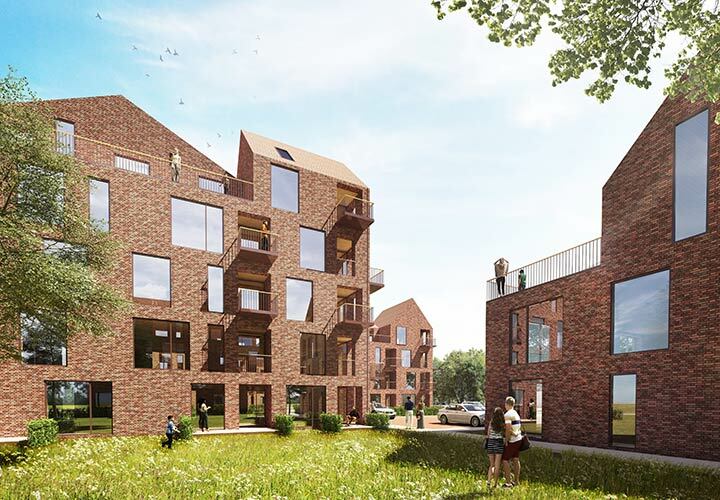 To sum it up, the Koldinghave project provides the city of Kolding with six attractive houses that focus on design, integration of nature and optimal daylight conditions.